UBC gets attention on tax fraud in various rallies. 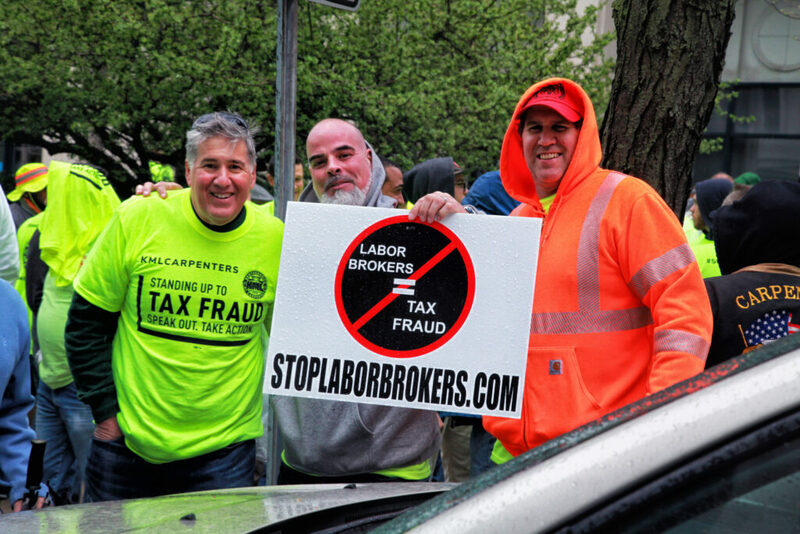 TRENTON – Several hundred union carpenters, all wearing shirts with the phrase “Standing up to Tax Fraud” emblazoned on the back, gathered in front of the Internal Revenue Service Building here for a rally to raise awareness to the amount of tax revenue lost every year due to tax fraud occurring in the construction industry. The rally, strategically scheduled for April 15 – Tax Day – to emphasize the seriousness of the issue, was organized by the Keystone Mountain Lakes (KML) Regional Council of Carpenters and featured several members of the New Jersey Legislature, including Senator Fred H. Madden Jr. (Fourth District) and Senator Troy Singleton (Seventh District), as invited speakers. 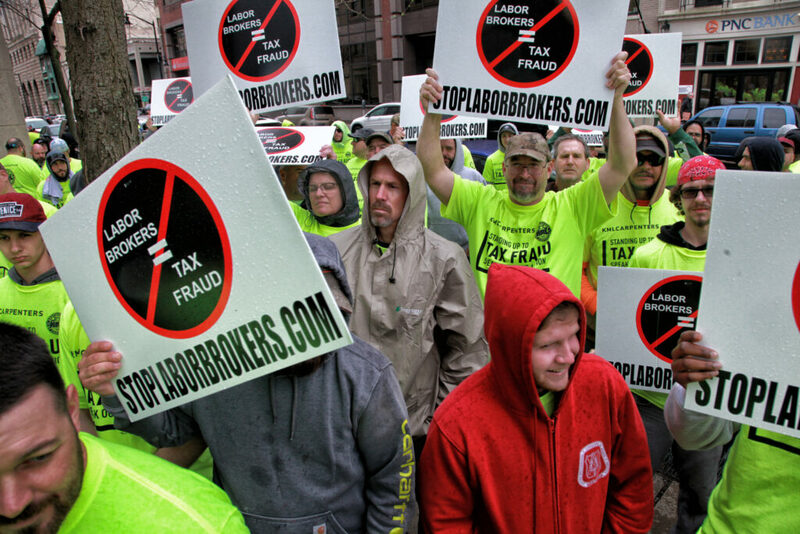 Tax fraud is rampant in the construction industry where companies misclassify workers, routinely neglect to pay taxes and fail to follow accepted standards to ensure jobsite safety. A common construction practice is hiring employees off-the-books, calling them independent contractors, paying less than a fair living wage, no overtime and many times without medical benefits or payment of workers compensation premiums. Federal, state and local tax authorities also lose – big time. 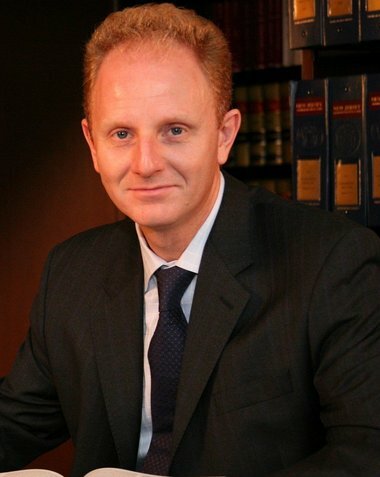 In a conversation following the rally, Sproule cited a 2016 Williams J. Hughes Center for Public Policy white paper titled “The Underground Construction Economy in New Jersey” to illustrate the wide-reaching effects of the problem in the Garden State. Those numbers just demonstrate activity in the construction industry. Overall, according to the study, the underground economy is estimated to be worth between $7.3 billion and $16.3 billion. Income tax lost to off-the-books employment and misclassified workers totals $20 million. More than $3 million in unemployment insurance goes unpaid. Singleton, a democrat from Moorestown and a Council Representative with KML, believes enough is enough. Both Sproule and Madden, who is the chairman of the Senate Labor Committee, believe a good first step would be to enforce laws already on the books. Monday’s Day of Action rally was one of nine held on Tax Day. Others were conducted in Philadelphia, Harrisburg and Pittsburgh; Baltimore, Washington D.C.; Richmond and Roanoke; and Charleston, West Virginia. More have been scheduled throughout the country over the next couple days. Their purpose is to educate, but also to put pressure on states to root out and prosecute contractors who are committing tax fraud. Monday’s rally was an important step taken to raise awareness to this critical issue. It won’t be the last. Wealthy developers continue to steal from NJ tax dollars.